Investing in the City's older facilities for now and into the future - this project will ensure ongoing safety and function of this iconic fountain. The Edmonton Civic Precinct encompasses Sir Winston Churchill Square, Centennial Plaza south of the Stanley A. Milner Library, and the City Hall Plaza. 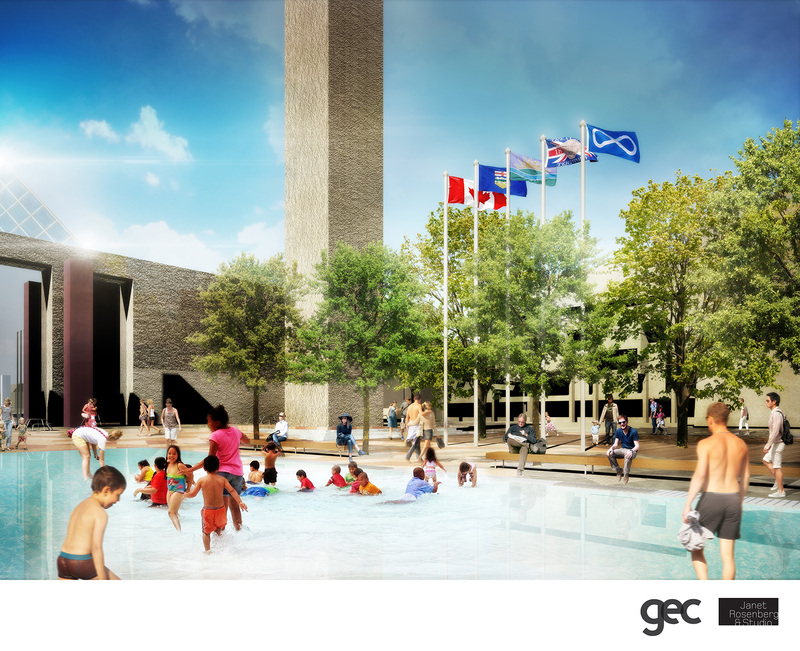 The Civic Precinct is a safe, family-friendly, vibrant and lively urban plaza in the heart of Edmonton's downtown. This public gathering space welcomes more than 1 million people a year who participate in programs, events and festivals. Keep similar opportunities for activities - skating, wading, programs, festivals, events etc. Summer 2018 - Summer 2019: Construction in coordination with other major projects in the area. Schematic and detail design will be developed incorporating information from the concept plan. 2016: Final Concept Plan for Surface Rehabilitation Options. October 2016: Setting the Direction for Concept: Feedback received on the preferred draft concept options for surface rehabilitation. Open house on October 24 and public survey. Summer - Fall 2016: Exploring Options: Developed a draft concept plan with stakeholders and project team. Winter - Spring 2016: City gathered information to support the function, maintenance and operation of the site. Replace the tile in the City Hall Plaza with a new surface to decrease the overall site maintenance costs while maintaining the look and feel of the space. Integrate 102A Avenue with City Hall Plaza and Churchill Square to achieve barrier-free access and improve the appearance of 102A Avenue as a pedestrian zone. Renew the East Garden in Churchill Square with a new, more resilient, low maintenance surface that stands up to the ongoing demands of festival and event seasons. Rehabilitate the City Hall Fountain to ensure health and safety standards are met. New trees will be planted once construction is complete. These trees will be planted in Silva Cells which provide better growing conditions and adequate soil volumes for more sustainable, longer living trees. The Valley Line LRT construction presents an opportunity for rehabilitation work to be completed on the adjacent public space minimizing the impact to public during construction. Edmonton’s Civic Precinct is the area encompassing Sir Winston Churchill Square, Centennial Plaza (south of the Stanley A. Milner Library) and City Hall Plaza. The Civic Precinct includes the area adjacent to 99 Street and 100 Street from 104 Avenue to 101A Avenue. This central public space is used year-round and serves as a venue for festivals and events, organized programs, casual activities, street vendors and public art. The space is designed to be a welcoming, vibrant, active, inclusive place for visitors of all abilities, ages, incomes and cultures. City Hall opened in 1992 and included the City Hall Plaza and fountain. Twenty-five years later, the surface tile surrounding City Hall and the Fountain requires rehabilitation. Sir Winston Churchill Square was selected as Edmonton’s Centennial Legacy Project, with a redesign of the park completed in 2004. What Happened to the Civic Precinct Master Plan from 2013? A Civic Precinct Master Plan was presented to Community Services Committee in April 2013. The Master Plan was not supported at Committee. Governance structure and operation plans: Coordination of operational plans among City Departments and development of new advisory committee. 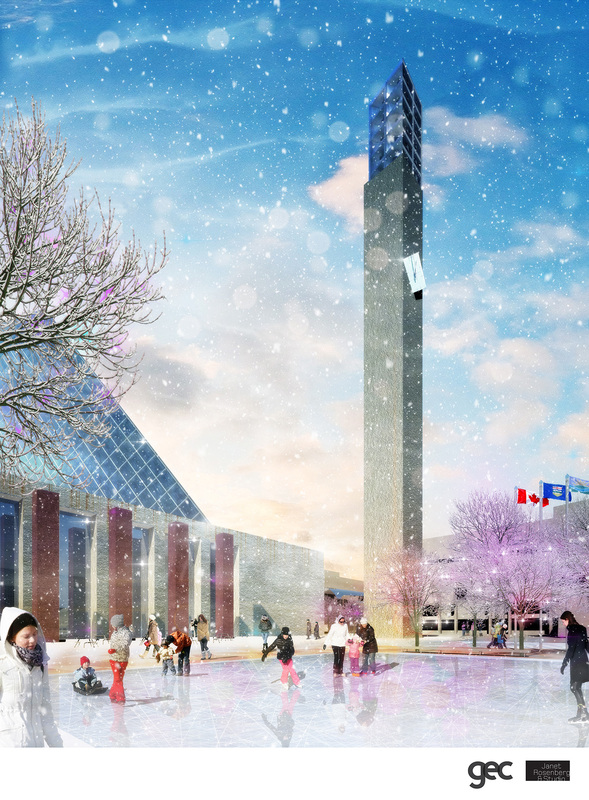 Program delivery: ensuring continued animation and vibrancy of the civic centre by balancing events and festivals with opportunities for casual use programming. Continue working with existing and new festival, events and partnerships, and continue development and execution of City-run events. Continue to enhance aesthetics (unified look through consistent garbage cans, benches, bistro tables and chairs, umbrellas, and so on). Integration of 102A avenue, City Hall Plaza tile replacement, and East Garden turf replacement.